Florida State wildflower is “Coreopsis”. 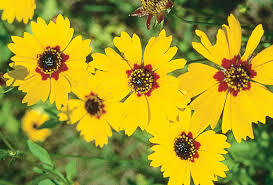 In 1991 the flower of the genus Coreopsis was designated as Florida’s official wildflower. The state legislature made this designation after the colorful flowers were used extensively in Florida’s roadside plantings and highway beautification programs. 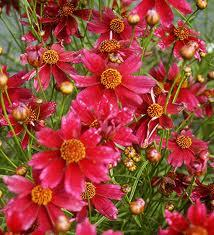 The coreopsis is found in a variety of colors, ranging from golden to pink. Prized for its dependable nature and colorful, daisylike flowers, coreopsis has a long bloom period and is generally troublefree and easy to grow. Another common name is tickseed.